As the nights draw in and the days become increasingly hectic with Christmas preparations, simple warming meals are what is required. Here are 4 Easy Comfort Food Recipes – perfect for this time of year! 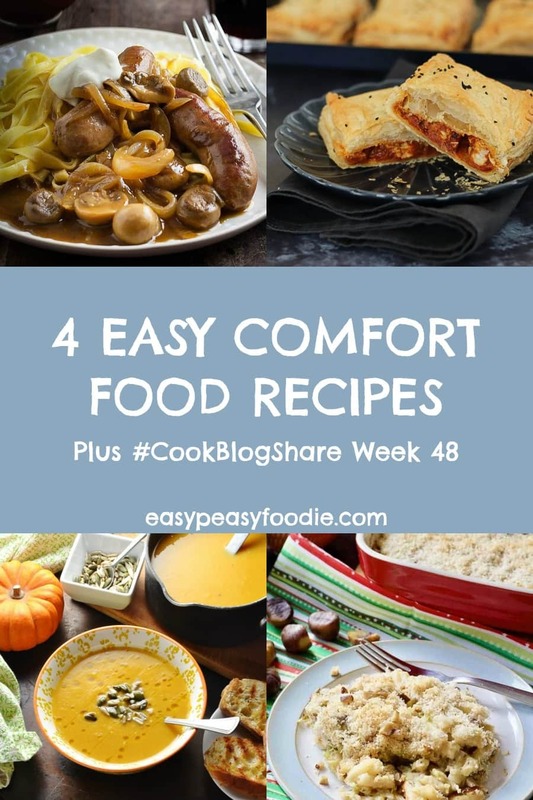 Plus find the linky for #CookBlogShare Week 48. Can you believe it’s just 4 weeks until Christmas??? I am already like a small child – suuuuper excited! I love this time of year: it’s that sense of anticipation, coupled with pretty lights and sparkly things, warm and cosy evenings in and, of course, THE FOOD!! If you’ve been following my blog for a while, you know I go BIG when it comes to Christmas food. It’s traditional at this time of year for me to go a bit crazy with new recipes – simplifying Christmas classics (like my Easy Peasy Cranberry Sauce or my Stress Free Roast Turkey) and coming up with inventive new dishes (Sprout Slaw and Christmas Turkey Burgers, anyone?). This year I have been a little more restrained than in previous years (mostly because I’ve spent a lot of time updating old Christmas recipes! ), but I’ve still found time to create a few new Christmas recipes! 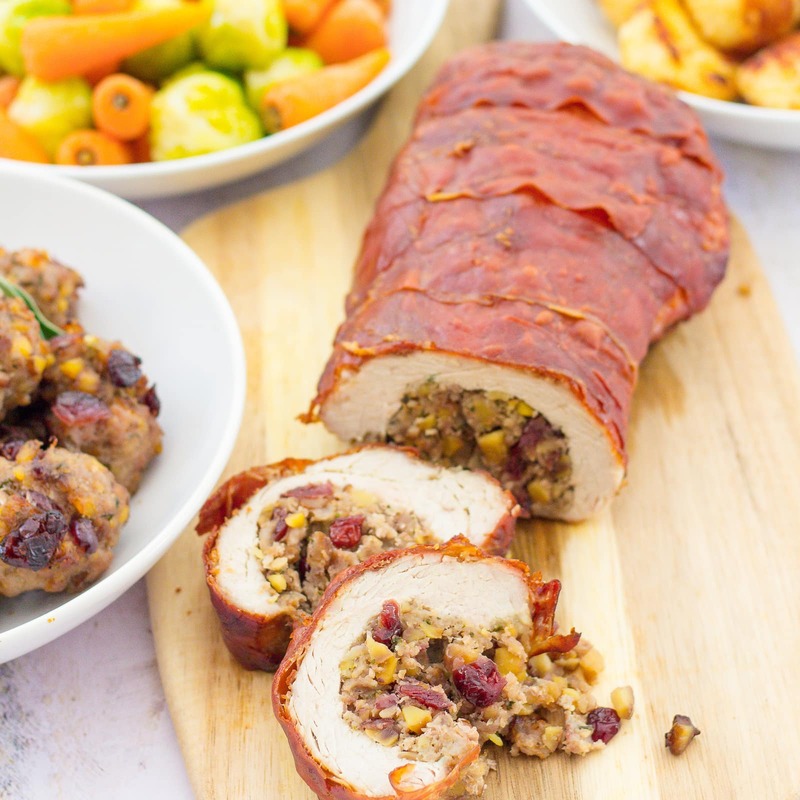 My favourites this year are my Chestnut and Cranberry Stuffing Balls and my Stuffed Rolled Turkey Breast – an easy, stress free and CHEAP way to create a delicious Christmas centrepiece. Over on Productive Blogging, I’ve not been very Christmassy at all! But instead I’ve been sharing tips on How to set up the Yoast SEO plugin (properly! ), How to automate your social media and How to send an automated blog newsletter with MailChimp. I’ve also written a really comprehensive Beginner’s Guide to SEO, which covers topics such as: What is SEO? How to do keyword research and How site structure can affect your SEO. It’s well worth a read if you want to get a really solid grounding in what SEO is (and what it isn’t) and how to actually ‘do’ SEO effectively. Brrr – it’s getting chilly now isn’t it? We even had SNOW in my little corner of the South East of England – which is almost UNHEARD OF at this time of year! As the weather is getting worse and the nights are drawing in, I’m now in full on comfort food mode (who are you kidding, Eb? You are ALWAYS in comfort food mode!!). So it’s not surprising that it was comfort food that caught my eye among all the dishes linked up in last weeks linky over on Casa Costello! The thing I really love about the dishes I’ve chosen to feature this week is not just that they are wonderfully comforting dishes, but also that they are all EASY PEASY! This is important to me at any time of the year, but especially now – I don’t know about you but my calendar is looking a little bit CRAY-ZEEE for the next month and a bit. Mostly good stuff, but still – I need REALLY REALLY need easy peasy meals this month!! 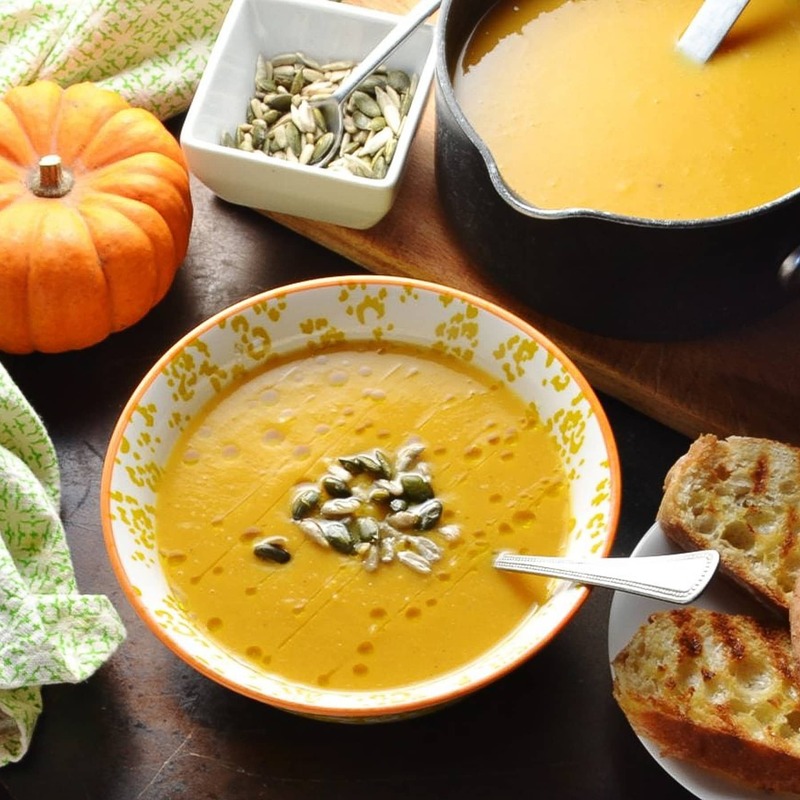 First up is this delicious sounding Creamy Roasted Butternut Squash Soup from Monika at Everyday Health Recipes. I am a BIG fan of roasted butternut squash in all forms but especially in soup! I particularly love how healthy and nutritious this soup is – packed with veggies, lentils and spices. And I also love how creamy this soup is, even though Monika doesn’t use any cream! Given how into Christmas food I am – and especially sprouts! 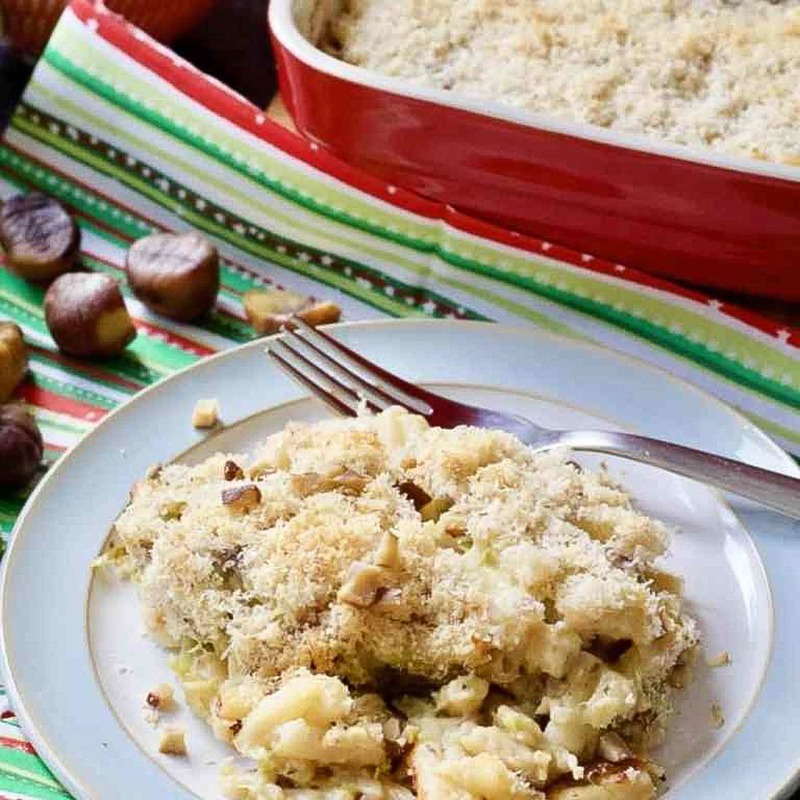 I couldn’t not include this delicious sounding (and very Christmassy) Brussels Sprouts, Bacon & Chestnuts Macaroni Cheese recipe from Jo at Jo’s Kitchen Larder! It’s basically exactly as the recipe suggests: classic Macaroni Cheese, Christmasified (that’s totally a word!) with Brussels sprouts, bacon and chestnuts. What a great way to sneak Brussels sprouts into sprout-refuseniks (i.e. most small children). I love how this recipe can be made ahead of time too – and even cooked from frozen! Perfect for those unexpected guests who arrive at Christmas time. I am always looking for ways to make midweek cooking easier and so I simply had to include this rather genius recipe, from Jacqui over at Recipes Made Easy, for Easy Sausage Stroganoff. Definitely one of those, ‘Now why didn’t I think of that?’ recipes. 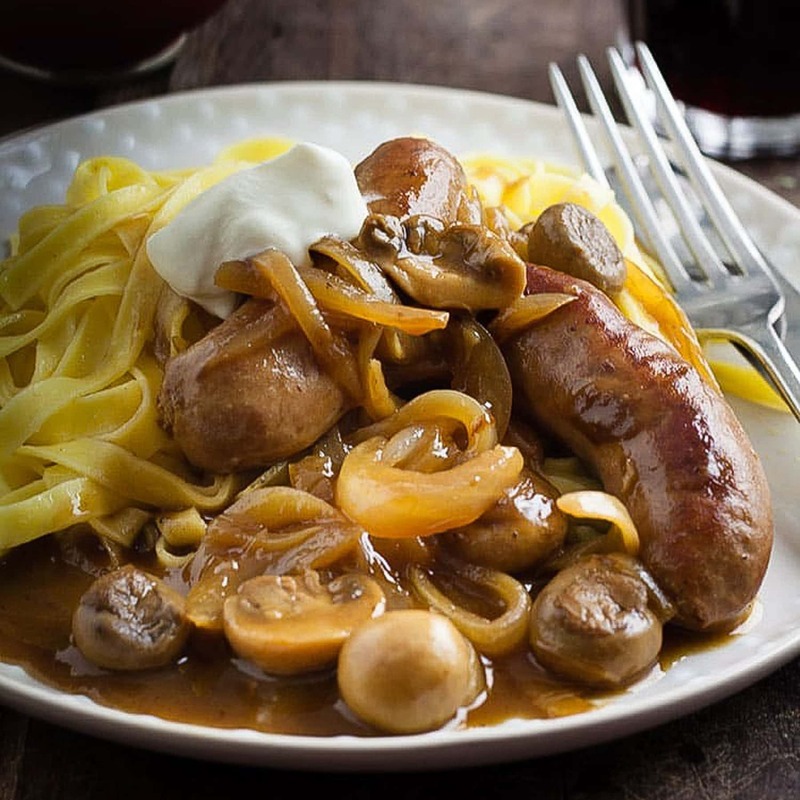 All the delicious flavour of stroganoff made simpler and cheaper by using sausages! I can see this recipe going down very well in the Gargano household this winter. Pies and curry are two of my favourite winter comfort foods, so the two combined is like some kind of ultimate comfort food nirvana! And this is exactly what Cat from Curly’s Cooking has done with these rather awesome looking Chicken Balti Pies! Basically, she has made a quick and easy chicken balti and encased it inside two sheets of ready-made puff pastry. The result is these rather awesome little pies – I can imagine how they would make a delicious dinner one night – maybe served with some veg on the side – and a brilliant quick and easy lunch the next day from the leftovers! « How to cook perfect roast turkey – the stress-free way! I definitely need easy comfort food recipes as well at this time of year and these ones look super yummy! Yes it is comfort food and easy peasy dishes all the way now until the big day. Thank you for including my sausage stroganoff in this delicious round up. It’s so cold outside now that comfort food is all I’ve been making recently. Thank you for featuring my soup recipe! Today I am linking up another hearty soup, this time mushroom. 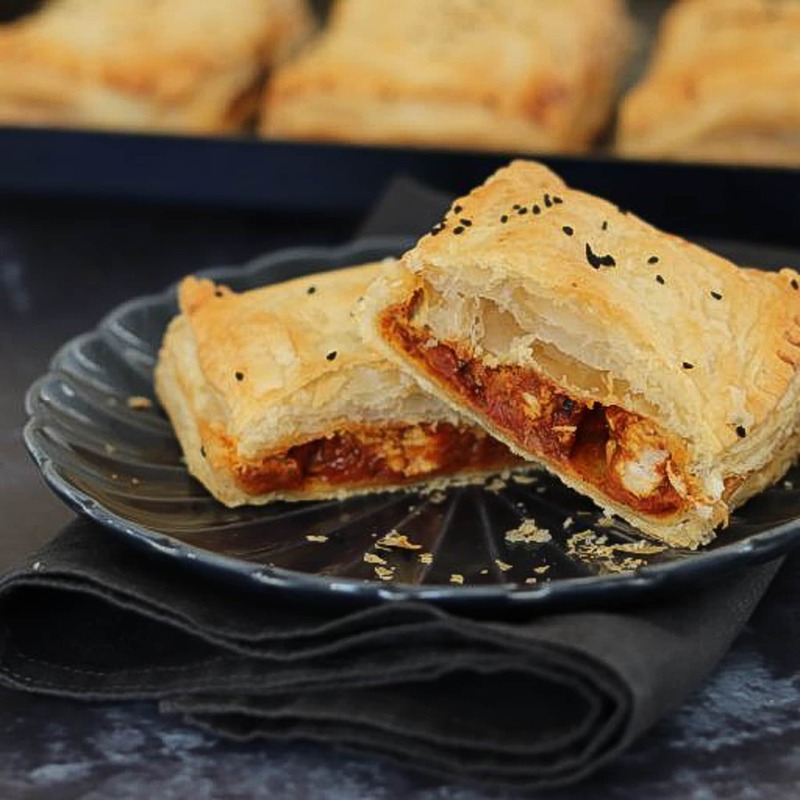 Thanks for featuring my chicken balti pies amongst the other easy and yummy recipes! Snow already!! Wow! We’ve had snow forecast but it didn’t arrive, although it feels very likely when you go outside today, it’s freezing! All these comfort food recipes sound delicious although new soup recipes always make me very excited! This is truly the season of comfort food and these recipes look so delicious. I can’t believe Christmas is so close – I have SO much to do and so little time to do it! Love the look of all these recipes – they are making me hungry!